(CBS News) When House Speaker John Boehner, R-Ohio, endorsed Mitt Romney for president in April, he pledged to do "everything I can to help him win." In his words, however, the one thing he can't do is make voters "fall in love" with the candidate. Speaking last week at a fundraiser in Wheeling, W.Va., Boehner was surprisingly candid in his characterization of Romney's candidacy when asked, in a question-and-answer session: "Can you make me love Mitt Romney?" "No," he answered, as first reported by Roll Call. "Listen, we're just politicians. I wasn't elected to play God. 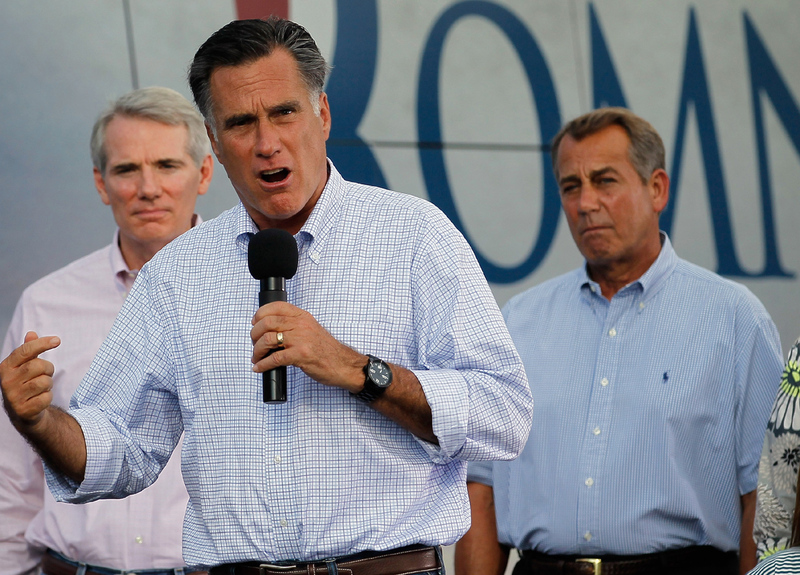 The American people probably aren't going to fall in love with Mitt Romney." He added that the presumptive Republican nominee had "some friends, relatives, and fellow Mormons... some people that are going to vote for him," but suggested that at the end of the day, Republicans would be voting against President Obama rather than for Romney. "I'll tell you this: 95 percent of the people that show up to vote in November are going to show up in that voting booth, and they are going to vote for or against Barack Obama," Boehner said. "This election is going to be a referendum on the president's failed economic policies. " Calling Romney a "solid guy," Boehner went on to say that the former Massachusetts governor is "going to do a great job, even if you don't fall in love with him." Asked about the comments on Saturday, Boehner spokesperson Cory Fritz pointed out that the Speaker had attended campaign events for Romney in Ohio that very morning. He also opened up a campaign office for Romney in Ohio on Saturday. "Four years ago, President Obama was greeted as a celebrity, but that hasn't resulted in jobs and growth for families and small businesses," Fritz said in an e-mailed statement. "Americans are going to be voting this November based on who can get our economy moving, and Mitt Romney - with his experience as a private-sector job creator and a governor - is the best candidate to do just that." Responding to the comment, Romney adviser Kevin Madden said Saturday that "John [Boehner]'s right in that speeches and lofty rhetoric haven't gotten the job done for the American people in the Obama era, and that Governor Romney's dedicated focus on the economy can and will put the country back on track." "This is an election about fixing the American economy, putting Americans back to work and putting the country back on track towards a brighter future," he said. "It's an election about competence, particularly after three and a half years of incompetence and a total lack of leadership on the economy." Jill Jackson and Caroline Horn contributed to this report.